If, like me, you have lived in the “technology bubble” for any length of time, you have probably become accustomed, perhaps even blasé, about the incredibly rapid - and ever accelerating - pace of change in our industry. Today, everything we touch seems to be generating data, from the heart rate sensor on your smart watch to the thermostat on your wall to the jet engine on the airplane that takes you on your next vacation or business trip – to say nothing of all the videos, blog posts, tweets and emails we all generate every day. This is not something that can be done from a standing start. The companies that will succeed started out on this long road many years ago. They have learned from each new generation of technology; they have added, changed, tweaked and improved along the way to get to where are now. Which is just the starting place for the next step. Sure, there’s the occasional “giant leap”, but if you look closer you will inevitably see a longer story of incremental change, prior inventions and ideas that provided a foundation. 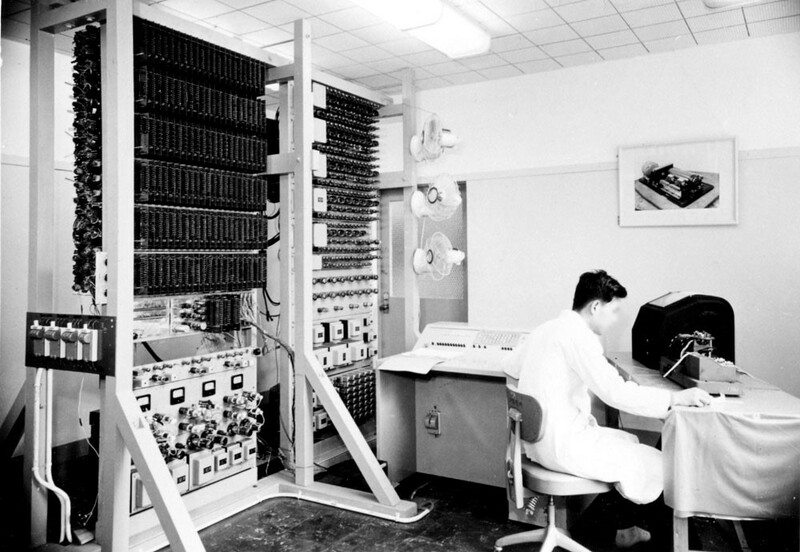 Hitachi joined the information age in the late 1950’s with one of the earliest electronic computers, the HIPAC-MK1. Since then, the company has learned how to meet the needs of an incredibly diverse range of customers around the globe in many industries, how to consistently deliver high quality and how to scale to the highest capacities demanded by some of the world’s biggest organizations. Today, our enterprise storage products, servers and converged infrastructure solutions are built on that strong foundation, and today a key part of that foundation is Intel’s processor technology. With the introduction of the new Intel Xeon E7v3 Processor Family this week we take another step forward together, propelled not by a single breakthrough, but improvements built upon many years of hard work and customer feedback. Without this legacy of continuous innovation it would be impossible to keep up with the exponentially increasing demand for capacity and performance for which today’s market is just the tip of the iceberg. This ever increasing demand does not come with an ever increasing budget, of course, and this week’s introduction of the Intel Xeon E7v3 Processor Family plays a critical role in Hitachi Data Systems ability to deliver big data analytics solutions for customers such as SPAR Austria Group at a price point that stays within budget, even as needs grow. Like many of our customers, SPAR’s business depends on rapid analysis of an increasing volume of unstructured data which has been running for the past year on Hitachi Compute Blade 2000 systems with the Intel Xeon E7 Processors and Hitachi VSP storage platforms. Together with Intel’s announcement, we are introducing the next generation in that lineage: SAP HANA scale-up solutions based on our new CB520X B2 blades (powered by Intel’s new Intel Xeon E7v3 Processor Family), along with our new CB2500 blade chassis and the next generation of (Intel powered) Virtual Storage Platform (VSP) technology. Lab testing has shown that the new solutions deliver 46% more performance (measured data loading speed) at 30% lower price, compared to the previous generation of UCP solutions for SAP HANA. One thing that sets Hitachi and Hitachi Data Systems apart is our vision. Hitachi’s goal is to deliver solutions and services to make societies safer, smarter and healthier. This is what we call Social Innovation. You can read more about Social Innovation in Hu Yoshida’s blog, or at this website. As announced last week at Connect 2015, Hitachi Data Systems is bringing to market a number of purpose-built solutions to address a variety of Social Innovation challenges across many industries. These solutions combine the power of connected devices and technologies – or the Internet of Things (IoT) – with operational technology (OT), machine-to-machine (M2M) and advanced data analytics, and best-of-breed IT infrastructure, all in a unified, fully integrated stack. Underlying all these solutions are analytics platforms built on best of breed infrastructure including Hitachi storage, servers, networking, content platforms, and converged solutions – all built on a foundation of Intel technology. Today’s Intel Xeon E7 v3 Processor Family announcement strengthens Hitachi’s infrastructure portfolio and maintains the momentum of innovation, from both Hitachi and Intel, that is required to ensure that the demands of big data and social Innovation Solutions can be met today and in the future.